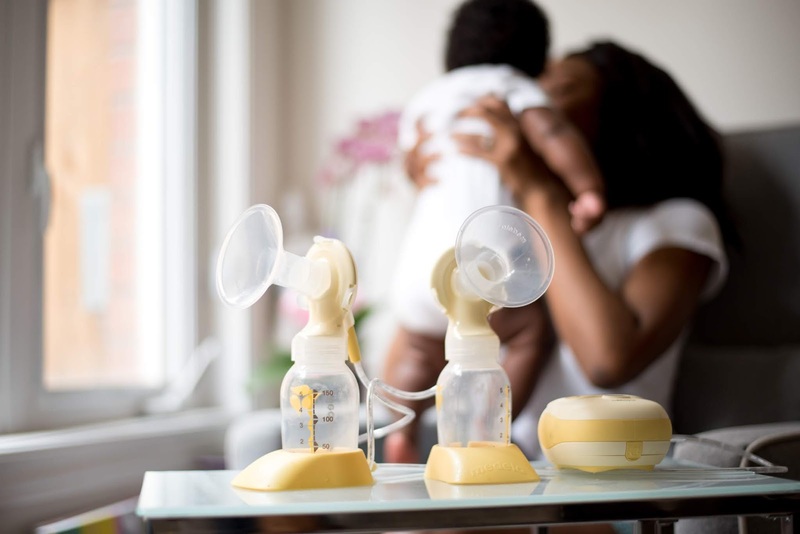 After writing Breastfeeding Essentials for Nursing Moms I received many questions and comments about different aspects of some of the products that I linked including breast pumps. A lot of the comments had to do with choosing the right breast pump and how to get a free breast pump or at a discounted price. Unfortunately, I am no expert and it took me hours of research, chatting with a lactation consult and referrals from friends before I selected the pump that I currently use. Looking back, it was an overall confusing experience. I wanted to do this post to share some useful resources with you. the different brands and pumps to help you choose the right one for you. Listed below are the following things to consider when selecting a pump. If you are only pumping once a day a manual hand pump is ideal. If you are pumping more than once or in a time restricted environment, an electric pump may be better. Do keep in mind that electric pumps are more expensive than manual ones. It is important to also consider how easily the pump can be disassembled and reassembled for cleaning purposes. Some pumps are more difficult than others. If you’re planning to transport the pump consider how portable it is. Pumps vary in size and some even come with their own discrete bags. Lastly, consider (if it is an electric pump) if the pump also has batteries and the battery life. A battery with a long battery life allows women to pump anywhere without requiring an electrical outlet. If you will be pumping at work or anywhere in public you will probably do better with a discreet and less noisy pump. Therefore, noise level is an important consideration. Everyone’s discomfort tolerance is different. Therefore, you may have to consider the pump’s degree of suction, cycling speed and whether it can be adjusted or not to make pumping comfortable for you. Do you have any additional tips on how to choose a breast pump? Have you heard of Aeroflow Breast pumps?